Level|Up is teaming up with ATLUS and Mad Catz to host a new and exciting event for the fighting game community! Introducing the ‘ATLUS Fighting Championships’, a double header tournament featuring 2 of the hottest fighting game titles: The King of Fighters XIII and Persona 4 Arena! This November 17, we invite you to a fun-filled event with plenty of competition, hype, and community support at Super Arcade in Walnut, California! There will be amazing prizes courtesy of ATLUS and Mad Catz given away throughout the day for lucky attendees, winners of the event, and viewers at home! Grand prize winners will be awarded unique prizes and crowned king of the ATLUS Fighting Game Championships! This is a ‘Bring Your Own Controller’ BYOC event! 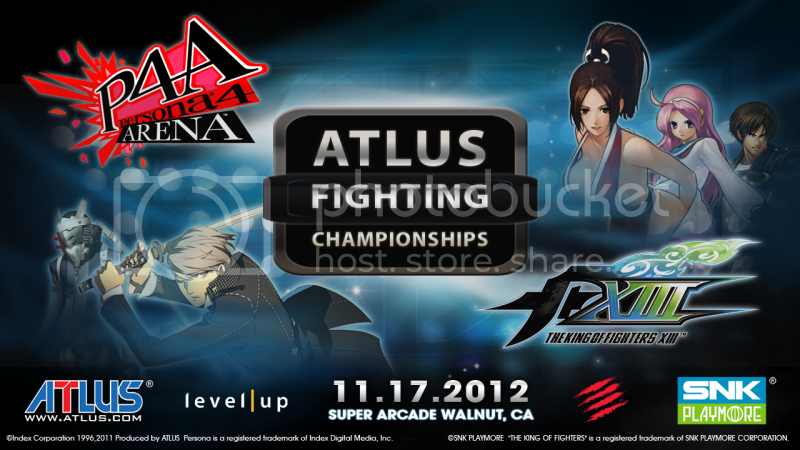 ATLUS and Mad Catz will be awarding awesome prizes for top 3 placers of KOFXIII / P4A! 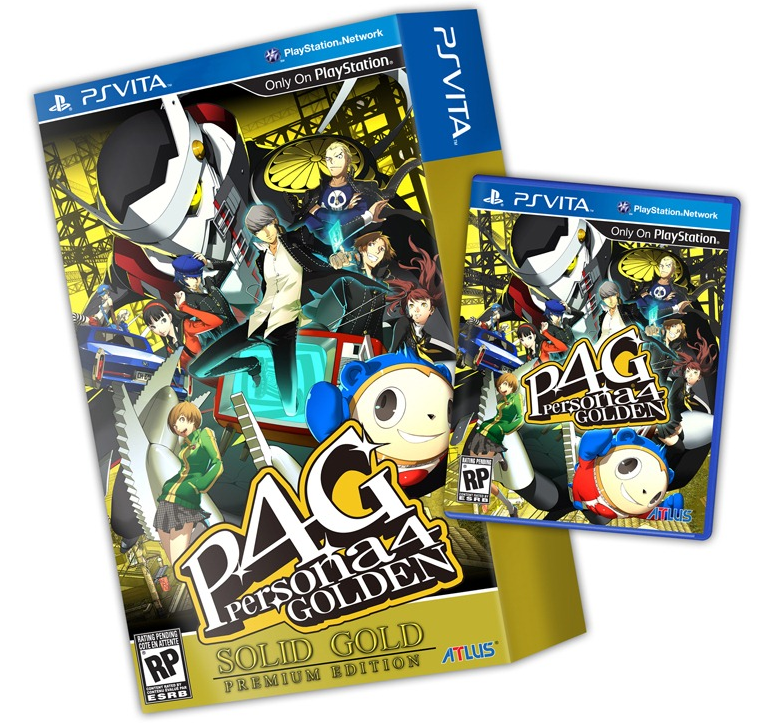 1st place champions will win a custom-made fight stick by Mad Catz / designed by Atlus, 2nd place finishers will win the very limited Persona 4 Gold Solid Premium Edition, and 3rd place finishers will win a retail copy of Persona 4 Golden! *Note: Prizes will be shipped to P4G winners shortly after street date which is 11/20/2012! The King of Fighters XIII will take place on the PlayStation 3(PS3) console. Time will be set to 60 seconds. A match consists of 2/3 rounds. 2 out of 3 games for preliminaries, losers, and winners finals. 3 out of 5 games for grand finals. After a game has concluded, winner must stick with the same characters for the next game. Billy Kane, Saiki, and all other DLC chars allowed. Persona 4 Arena will take place on the PlayStation 3(PS3) console. Winners of the Atlus Fighting Championship stream giveaways! If this is you, please email alex.valle@levelup-series.com with your real name, address, contact number and any necessary shipping information! Also please include your Twitch handle!